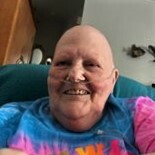 Diann Lynn Keller, age 70, of Brodhead, passed away on Thursday, November 15, 2018, at Mercy Hospital, Janesville, WI. She was born on March 22, 1948 in Dodgeville, WI, the daughter of Guerdon and Arlene (Halvorson) Heins. She married Allen R. Keller on March 5, 1967, at the Monroe Methodist Church. Diann graduated from Monroe High School in 1966. She had worked part time at the Swiss Colony of Monroe for a short time and was the manager of Stop-N-Go of Brodhead for 21 years, retiring in 2006. She was a former member of the Brodhead VFW Auxilliary. Diann enjoyed casino life, fishing in Hayward, WI, craft work, but especially being with family. She is survived by her husband, Allen, Brodhead; a daughter, Stephanie (Kevin) Bliss, Delavan, WI, a son, Jeff (Danielle) Keller, Monticello, WI; a brother, Duanne (Mary Lee) Heins, Glenwood, IA; four grandchildren, C.J., Alex, Kimberlee, and Mercades. She was preceded in death by her parents. Funeral services will be held at 11 a.m., Monday, November 19, 2018, at the D.L. Newcomer Funeral Home, Brodhead, WI, with Rev. Bill Wineke officiating. Burial will be in Greenwood Cemetery, Brodhead. Visitation will be held on Sunday from 5 p.m. until 7 p.m. at the funeral home.